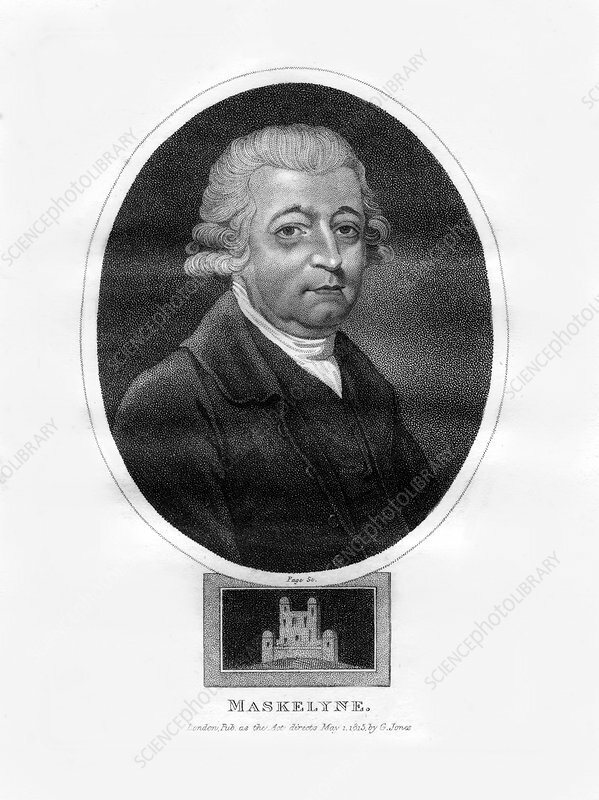 Nevil Maskelyne, fifth British Astronomer Royal, (1815). Maskelyne (1732-1811) was Astronomer Royal from 1765-1811. He was made a Fellow of the Royal Society in 1758. Maskelyne proposed a means of calculating longitude based on measuring lunar distances and publishing them in a form accessible to navigators, leading to him establish the Nautical Almanack in 1766. Artist: Page.